Draft: 2006, San Francisco Giants, 1st rd. Graduated from Liberty (Renton, WA) High School...led Patriots to 3A state championship in 2003, while being named Washington's Gatorade Player of Year...Attended University of Washington...was tabbed nation's second-best amateur prospect by Baseball America in 2006 after leading country in strikeouts during collegiate season...two-time Pacific-10 Conference Pitcher of Year is league's all-time leader with 491 career strikeouts... garnered first team All-America accolades in 2006, going 12-4 with three saves and a 1.94 ERA (27er, 125.1ip) in 22 games (17 starts) for Huskies...Put together brilliant summer in 2005 Cape Cod League and earned Baseball America Summer All-America honors... became first player ever to be named both Pac-10 Freshman of Year and Pac-10 Pitcher of Year in 2004. Went 12-9 with a 4.74 ERA (82er, 155.2ip) in 33 games (26 starts)...Was moved to the bullpen on Aug. 25, after struggling for a span of six starts from July 25-Aug. 23, going 1-3 with a 9.49 ERA (26erm 24.2ip)...Went 10-9 with a 4.67 ERA (75er, 144.2ip) in 26 starts, compared to a 2-0 mark with a 5.73 ERA (7er, 11.0ip) in seven relief outings...Struggled on the road, going 3-6 with a 6.02 ERA (41er, 61.1ip)...in comparison, he finished 9-3 with a 3.91 ERA (41er, 94.1ip) at home...his 6.02 road ERA was the secondhighest in the NL among pitchers who made at least 10 starts away from home...His 15 wild pitches were tied for the most in the National League...Won four-consecutive starts from June 25-July 11 posting a 0.30 ERA (1er, 30.1ip) during this stretch...he became the sixth Giants pitcher to go 4-0 with an ERA that low over a four-start stretch since 1920, joining Bill Walker in 1930 (4-0, 0.29), Sal Maglie in 1950 (4-0, 0.00), Gaylord Perry in 1970 (4-0, 0.00), Rick Rueschel in 1989 (4-0, 0..30) and Matt Cain in 2006 (4-0, 0.00) (Elias)...Tossed his second career no-hitter in his outing on June 25 vs. San Diego...became the 31st pitcher with multiple no-hitters and became the fourth active pitcher to achieve the feat, joining Homer Bailey, Mark Buerhle and Justin Verlander (Elias)...Became just the second pitcher in Major League history to twice no-hit the same team...Hall of Famer Addie Joss did it for the Cleveland Naps against the Chicago White Sox with a perfect game in 1908 and a no-hitter in 1910 (Elias). Made his second career regular season relief appearance on July 22 at Philadelphia in the 14th inning and recorded his first career save...he became the ninth pitcher in Major League history to have a no-hitter and record a save in the same season (since saves became an official statistic in 1969) (Elias). Completed his seventh season in a Giants uniform, going 10-14 with a 4.37 ERA (96er, 197.2ip) along with 193 strikeouts in 32 starts. Joined Juan Marichal, Gaylord Perry and Kirk Rueter as the only Giants pitchers in the SF-era (since 1958) to record at least 10 wins in six consecutive seasons. His 1,510 career strikeouts are the third-most since 1893 through a pitchers first seven seasons, behind Tom Seaver (1,655) and Bert Blyleven (1,546) (Elias). Among NL leaders ranked 10th with 193 strikeouts and 11th with 8.79 strikeouts per 9.0 innings...his 14 losses were tied for the third-most in the league, his 76 walks issued were tied for the fourth-highest and his 102 runs allowed were the seventh-most. Opponents went 21-for-23 (91.3%) in stolen base attempts against him for the fifth-highest percentage among NL pitchers...his 21 stolen bases against were the fourthmost in the league. Did not walk a batter in his start on May 1 at Arizona, snapping a string of 59-consecutive starts with a walk (had been the logest active streak in MLB). Matched his career-high by allowing eight runs (8 earned) on July 22 vs. Cincinnati, an 11-0 loss...logged just 3.2 innings and allowed three home runs for the third time in his career. Tossed his first career no-hitter on July 13 at San Diego...was the 15th in franchise history and marked the seventh no-hitter in San Francisco-era history...was the first nohitter by a Giants pitcher on the road since RHP John Montefusco's no-no on Sept. 29, 1976 at Atlanta. Became the fifth multiple Cy Young Award winner at the time of his first no-hitter (also: Johan Santana, Bret Saberhagen, Tom Seaver and Bob Gibson). Needed 148 pitches for his first no-hitter, one shy of the most in any no-no in the last quarter century...Edwin Jackson threw 149 pitches in his no-hitter at Tampa Bay on June 25, 2010. Lincecum struck out six-straight Padres from the 2nd inning to the 4th, tying the most consecutive Ks in his career (also: June 23, 2011, against the Twins) (Stats, LLC). Was the losing pitcher in Homer Bailey's June 2nd nohitter... the only pitcher who was the loser in a no-no and then threw the next one in baseball was Mal Eason in 1906 with Brooklyn (Elias). Was named NL Player of the Week for July 8-14 after tossing his first career no-hitter...marked the second time in his career that he won MLB's weekly award. Battled during his sixth season in the big leagues, going 10-15 with a 5.18 ERA (107er, 186.0ip) and 190 strikeouts in 33 starts. His 5.18 ERA was the highest among all qualifying pitchersin the National League and the fourth-highest in the Majors...entered the season with a career ERA of 2.98, but it now stands at 3.31, raising by more than 1/3. Not only were his 15 losses a career-high, but he also allowed a career-high in runs (111), earned runs (107), home runs (23) and walks (90) while tossing career-lows in innings pitched (186.0) and strikeouts (190). Led the NL in losses, runs allowed, earned runs, wild pitches (17) and ranked second in walks. Gave up a total of 66 earned runs in 2011...his 107 earned runs allowed were 26 more than his previous high (81 in2010). Tied Madison Bumgarner for the most home runs allowed on the team with 23...allowed 16 HRs on the road and seven at home. Was the first Giants pitcher to start at least 30 games and have an ERA as high as 5.18 since Livan Hernandez in2001 (5.24 ERA in 34 starts). Became the third pitcher since 1893 - after Tom Seaver (1,404) and Bert Blyleven (1,327) - to reach 1,300 strikeoutsin six seasons...was 10 strikeouts shy of reachingthe 200-strikeout plateau, snapping his streak of four consecutive seasons of 200+ strikeouts. His 28 runs allowed in the first inning were the most in the Majors...allowed a total of eight runs in the first inning in 2011. Was susceptible to allowing big innings, giving up three-or-more runs in a single frame eight times, four-or-moreruns four times and five-or-more runs once. Failed to reach the 5.0 inning mark in seven of his outings...had recorded only 15 such starts in his career prior to 2012. Recorded only 13 quality starts in 33 outings, the second fewest quality starts in the NL among pitchers with at least 30 starts (Tommy Hanson, 10). Struggled to hold runners on, allowing 25 stolen bases, the fifth-most in the NL. Completed his 5th season in Giants uniform and suffered his 1st losing record of his career, going 13-14 with 2.74 ERA (66er, 217.0ip) and 220 strikeouts in 33 starting assignments. ... Was named to his 4th-straight NL All-Star team. ... His 14 losses were career-high, although posted ERA under 3.00 for 3rd time in 5 campaigns. ... Finished 5th overall in National League with 2.74 ERA. ... Among NL leaders was tied for 3rd in strikeouts, 4th in opponents avg. against (.222) and 8th in innings pitched. ... His 86 walks allowed were 2nd-most in NL behind Colorado's Jhoulys Chacin (87) and most he's given up inseason in his career. ... Averaged 16.6 pitches per inning, which was 8th-highest figure in NL and highest mark of his career. ... Held opponents to .115 avg. against (11-for-96) with runners in scoring position and 2 outs...that was 2nd-lowestfigure among NL starters behind Atlanta's Tommy Hanson (.075). ... Reached 200-strikeout plateau for 4th-consecutive season, joining Amos Rusie (1890-93) of New York Giants and Juan Marichal (1963-66) of SF Giants as only pitchers in franchise history with 200+ strikeouts in 4-straight seasons. ... Also reached 200.0 innings for 4th-straight campaign, joining Jack Sanford (4-straight, 1960-63), Juan Marichal (10-straight, 1962-71), Gaylord Perry (6-straight, 1966-71),Jim Barr (5-straight, 1973-77) and Matt Cain (5-straight, 2007-11) as only pitchers in SF-era history to log at least 4-or-more consecutive seasons of 200+ innings. ... Finished 3rd in NL and 4th in Majors in road ERA, fashioning 2.38 figure (28er, 105.2ip)...had led big leagues in that category for most of season until allowing 7 earned runs in his final 2 road starts. ... Was tabbed with Majors' lowest run support, averagingjust 2.94 runs per game...Giants scored total of just 71 runs in his starts after plating 115 runs in his starts in both 2009-10. ... Not only was his run support average lowest figure of his career, but it was 3rd-lowest mark for any starting pitchersince 2000 behind Ted Lilly (2.88 RSA in 2010) and Greg Smith (2.88 RSA in 2008). ... It was also 4th-lowest mark for starting pitcher in SF-erahistory behind Vida Blue (2.67 RSA in 1981), Atlee Hammaker (2.79 RSA in 1985) and Mike Krukow (2.87 RSA in 1985). ... Received zero runs of support in 10 of his 33 starts, 1 run-or-fewer in 16 of 33 outings and 2 runs-or-fewer in 21 outings...his 10 starts with receiving no run support were tied with New York's (NL) Mike Pelfrey for 2nd-most in big leagues...Los Angeles' (AL) Tyler Chatwood led with 11 such starts. ... 11 of his 14 losses came when he received 1-or-fewer runs of support. ... Posted 12-3 record when receiving 2-or-more runsof support. ... Allowed 1 run-or-fewer in 18 of 33 starts. ... Tied Philadelphia's Cliff Lee for NL lead with 15 starts of logging at least 7.0 innings and giving up 1 run-or-fewer. ... Became 1st Giants pitcher to take hill for 3-straightOpening Days since Livan Hernandez did so from 2000-02. ... Struck out 13 batters in his 2nd start of season on April 6 at San Diego. ... Was within 8 outs of tossing SF's 14th no-hitter infranchise history on April 18 at Colorado before Carlos Gonzalez hit changeup through hole between 1st and 2nd base with one out in 7th inning, breaking up his longest no-hit bid of his career. ... Struck out 10 batters on April 18 at Colorado for his 28th career double-digit strikeout game, tying Christy Mathewson for most in Giants franchise history (since 1900). ... Had another no-hitter broken up by Diamondbacks' pitcherIan Kennedy with 1 out in 6th inning on May 10 at AT&T Park...had allowed just 3 baserunners to his 17 batters faced (2 BBs, error), before Kennedy lined one-out single up middle to break no-hitter. ... After blanking Rockies for 4.0 innings on May 16 at Coors Field, he extended his scoreless streak to 21-consecutive innings, 2nd-longest of his career...however, walked off mound having allowed 7 runs (3er), tying most he's ever given up in start, matching his 7 runs allowed on June 13, 2007 vs. Toronto. ... Recorded his 5th career shutout and 8th career complete game in his start on May 21 vs. Oakland...retired careerhigh21-consecutive batters faced from 1st-8th innings...his 133 pitch effort was 2nd-most he'd thrown in his career and most by any pitcher in Majors in 2011. ... Allowed his 1st career pinch-hit home run to St. Louis' Allen Craig on June 1 at Busch Stadium...was in line for victory as Giants held 4-3 lead in 7th, however, he couldn'thold 1-run lead as Craig's 2-run shot put Red Birds ahead 5-4...Lincecum tied his career-high by allowing 10 hits in contest, including 4 to his final four batters faced. ... Recorded his 1,000th career strikeout of his ML career on June 6 vs. Washington after striking out Jerry Hairston toend top of 2nd inning. ... Became 8th pitcher in modern era (since 1900) with 1,000 strikeouts in his 1st 5 seasons...7 pitchers who have reached this milestone are: Tom Seaver (1,155), Bert Blyleven (1,094), Dwight Gooden (1,067), Kerry Wood (1,065), Grover Cleveland Alexander (1,036), Hideo Nomo (1,031) and Mark Langston (1,018). ... According to Elias, Hairston was 3,692nd batter that Lincecum faced in big leagues...among Major-League pitchers who began their careers since 1900, only ones who had faced fewer batters at time of their 1,000th career strikeout than Lincecum were Billy Wagner (3,022),Octavio Dotel (3,478) and Kerry Wood (3,609). ... Tied his career-high by allowing 7 earned runs on June 11 vs. Cincinnati...his 1 strikeout in that game was also 1st time in his professional career to have just 1 punchout...had struck out at least 2 batters in all of his previous 136 career starts. ... Was named to his 4th-straight NL All-Star team, becoming 1st Giant to be selected to 4-straight Mid-Summer Classics since Barry Bonds was named to 5-straight from 2000-04...also became 1st Giants pitcher to be elected that many consecutive times since Juan Marichal appeared in 8-straight from 1962-69...Lincecum did not appear in game. ... Was late scratch from his start on July 26 at Philadelphia after suffering stomach ailment...Barry Zito moved up day to take his place. ... Did not allow run and struck out 10 batters to help Giants earn 3-0 victory on Aug. 13 at Florida...marked 5th and final double-digit strikeout game of season and 3rd time in 2011 that he had struck out at least 10 batters withoutallowing run, matching most such games in season by Giants pitcher since 1900...3 other Giants pitchers had 3 such games in season: Carl Hubbell in 1933; Sam Jones in 1958; and Ray Sadecki in 1968. ... Allowed 2 runs-or-fewer in 9-straight starts from July 9-Aug. 24, longest such streak of his career. ... Was rocked for 3 HRs for 1st time in his career on Aug. 29 vs. Chicago-NL...Lincecum was making his 150th start in that game, longest such span of starts without allowing 3HRs since Kevin Brown made his 1st 312 starts without 3-HR performance from 1986-98. ... Received no decision in his start on Sept. 9 vs. Los Angeles-NL, despite allowing 1 run in 8.0 innings...marked his 6th start in 2011 in which he failed to register win in game in which he allowed 1-or-fewer runs in at least 7.0 innings pitched...that was most such starts made in singleseason by Giants pitcher in 96 years since Jeff Tesreau had 6 such outings in 1915. Went 16-10 with 3.43 ERA (81er, 212.1ip), 231 strikeouts and .242 opponents avg. against (194-for-802) in 33 starts in what was his 3rd full season at Major League level...was named to his 3rd-straight All-Star team...Suffered career-high 10 losses and allowed career-highs in hits (194), runs (84), home runs (18) and posted his highest ERA in season since 2007...Led National League with 231 strikeouts for 3rd year in row, joining Randy Johnson (1999-2002) and Warren Spahn (1949-52) as only NL pitchers since World War II to pace league in strikeouts for 3-consecutive seasons...Lincecum also joined Christy Mathewson (1903-05) as only pitchers in Giants franchise history to lead league in strikeouts for 3-straight years...Was named to his 3rd-straight All-Star team, becoming 1st Giants pitcher to earn All-Star honors in 3-consecutive years since Juan Marichal did so in 8-straight from 1962-69...did not appear in AS G as he was slated to throw multiple innings in case game went into extra innings...Had trouble getting left-handed batters out, as they hit him at career-high .254 clip (108-for-426)...lefties hit .214 in 2007, .221 in 2008 and .209 in 2009...Began season going 5-0 with 1.76 ERA (11er, 56.1ip)...could have easily been 8-0 as he earned no decisions in 3-straight outings from April 28-May 9, as bullpen was not able to hold lead in all 3 of those games...overall, bullpen blew lead in 4 of his games...Earned his 4th-straight victory April 23 vs. St. Louis becoming 1st Giants pitcher to win his 1st 4 starts with no losses or no-decisions to begin season since Livan Hernandez won his 1st 4 in 2002 (STATS, Inc.)...marked just 2nd time in Lincecum's career to win 4-consecutive starting assignments (also, June 23-July 9, 2009)...Began 2nd half of season on strong note by tossing his finest outing of year in SF's 2-0 shutout victory vs. Mets on July 15 at AT&T Park...fired his 1st shutout of year (4th of his career), which was 6-hit gem that included 5 strikeouts and just one walk en route to his 50th career victory... according to Elias, Lincecum became 2nd-fastest player in SF-era history to win his 50th career game, doing so in his 109th career contest (Juan Marichal earned his 50th career win in his 97th game)...prior to Lincecum, 3 most recent pitchers who had winning percentage of .700 or higher and an ERA below 3.00 at time of their 50th win in big leagues were Dwight Gooden in the 1980s, Ron Guidry in the 1970s and Whitey Ford in the 1950s...Made slight change to his delivery in his start on July 30 vs. Los Angeles, raising his arms over his head from windup, something he once did in college...he needed 62 pitches to get through 1st 3.0 innings, but was more efficient remainder of way, ending with 7.0 innings and limiting Dodgers to just 2 runs in SF's 6-5 victory...Had worst career stretch in month of August, losing each of his 5 starts (career-high), while logging 7.82 ERA (22er, 25.1ip) and .311 avg. against (33-for-106)...received total of just 6 runs of support over those 5 games (2.13 RSA )...his 7.82 ERA in August was highest figure in any calendar month of his career...allowed at least 4 earned runs in each of his final 4 starts during month...his longest previous streak of starts surrendering 4-or-more ER s was mere 2...last Giants pitcher to go at least 0-5 with an ERA of 7.80-or-higher for one month was Bud Black, who went 0-6 with 8.01 ERA in Sept. of 1992...Defeated one of best pitchers in game in Colorado's Ubaldo Jimenez on Sept. 1 at AT&T Park in SF's 2-1 victory, thus snapping his career-high 5-game losing streak...pitched 8.0 innings while allowing just 1 run (solo HR to Carlos Gonzalez) on 5 hits with 9 strikeouts...it marked his 1st win since July 30th...Rebounded from career-worst 5-game losing streak with quality starts in 5 of his final 6 regular season games, going 5-1 with 1.94 ERA (9er, 41.2ip), along with 52 strikeouts against 8 walks in month of Sept...his 5 Sept. wins tied Roy Halladay and Derek Lowe for most by any NL pitchers and his 1.94 ERA ranked as 11th-best in NL in season's final month...Went 7-for-67 (.104) at plate with 13 sacrifice hits (5th-most in NL)...became 1st Giants pitcher in 87 years to have at least 3 hits and 3-or-more RBI in game in which he did not allow run, doing so on April 17 at Los Angeles-NL (tossed 6.0-scoreless frames that day)...Phil Douglas (June 4, 1921) and Jack Scott (Sept. 11, 1923) were only other pitchers to achieve feat (Elias)....POSTSEASON HIGHLIGHTS:Helped lead Giants' surge to their 1st-ever World Series Championship in San Francisco in 2010, posting 4-1 record with 2.43 ERA (10er, 37.0ip) with 43 strikeouts against 9 walks in 6 games (5 starts)...Was named winner of Babe Ruth Award as Most Valuable Player of postseason by BBWAA 's New York chapter...Passed Christy Mathewson (1905) for most wins by Giants starter in single postseason...Opened Division Series vs. Atlanta on Oct. 7 with 2-hit, 14-strikeout effort in San Francisco's 1-0 victory, becoming 5th-youngest pitcher to fan at least 14 batters in postseason game and 6th pitcher in ML history to throw 1-0 shutout in his postseason debut...joined Roger Clemens (2000 Yankees) as only pitchers to strike out 14+ and allow 2 hits or fewer in postseason shutout...Lincecum's 14 strikeouts in Game 1 of LDS surpassed record for most strikeouts by Giants pitcher in postseason game (Jesse Barnes, Oct. 11, 1921 vs. NY; Carl Hubbell, Oct. 3, 1933 vs. Washington; Hal Schumacher, Oct. 5, 1936 vs. NYY ; and Jack Sanford, Oct. 10, 1962 vs. NYY each had 10 apiece)...Tied all-time record for most strikeouts in World Series-clinching game with 10 on Nov. 1 at Texas...became 1st pitcher to record that many Ks in such game since Bob Gibson fanned 10 batters in Game 7 of 1967 World Series against Boston...Defeated Rangers' ace Cliff Lee twice in 2010 World Series...only other Giants starters to win 2 games in World Series are Mathewson (1905), Rube Marquard (1912), Carl Hubbell (1933) and Phil Douglas (1921)...Became 4th NL pitcher with at least 10 strikeouts, allowing 3 hits or fewer and 1 earned run or fewer in World Series contest when he limited Rangers to those totals in Game 5 of Fall Classic on Nov. 1 at Rangers Ballpark. Became 1st Giants Cy Young winner since 1967, and just 2nd ever, joining MikeMcCormick...of 32 ballots submitted by two writers in each league city, Lincecum was listed 1ston 23 ballots, 2nd on 7 and 3rd on 1 to total 137 points, based on 5-3-1 tabulation system...joined Dwight Gooden (Mets, 1985), Bret Saberhagen (Royals, 1985) and Fernando Valenzuela(Dodgers, 1981) as only pitchers to win Cy Young Award in their 1st full big league season...was24 years old when he won award, becoming youngest Cy Young winner, in either league, sinceRoger Clemens was 24 in 1986...also became 13th pitcher to win honor with team having sub.500 record...posted spectacular 18-5 record with 2.62 ERA (66er, 227.0ip) and ML-leading 265strikeouts in 34 games (33 starts) for San Francisco in his 1st full big league season...establishedSF-era single season strikeout record, surpassing Jason Schmidt's 2004 total of 251...became just9th Giant since 1900 to record at least 200 K's in single season (22nd occurrence) and becameonly Giant to lead Majors in modern era in strikeouts, 1st to pace NL since Bill Voiselle recorded161 K's in 1944...his 265 punchouts were most in Majors since Randy Johnson had 290 and JohanSantana collected 265 in 2004...since 1900, only 3 other pitchers had as many strikeouts in theirsophomore season as Lincecum: Vida Blue (301 for 1971 A's), Frank Tanana (269 for 1975 Angels)and Dwight Gooden (268 for 1985 Mets) (courtesy of Elias Sports Bureau)...also placed 23rd in NLMVP voting...was named NL Pitcher of Year by The Sporting News and was named Players Choicefor Most Outstanding NL pitcher, announced by MLB Players Association...was also selected asStarter of Year in MLB.com's annual This Year in Baseball Awards presented by State Farm, whichwas voted on by fans...was selected to his 1st NL All-Star Game, becoming 13th starting pitcher inSF annals to be selected...besides leading all ML pitchers in strikeouts, ranked 3rd overall in bothERA and winning percentage (.782)...finished 2nd in NL in ERA behind New York's Johan Santana(2.53) and ranked 2nd in senior circuit in wins behind Arizona's Brandon Webb (22)...also ranked2nd in NL with 26 quality starts, while his .221 opponents avg. against (182-for-824) led all NLhurlers...paced NL leaders in strikeouts per 9.0 innings (10.5), along with allowing fewest HRsper 9.0 innings (0.44)...fashioned NL-best 2.22 ERA (29er, 117.2ip) on road, while his 10 roadvictories were tied for 2nd-most in NL...in fact, his .833 winning pct. on road was 2nd-highest inSF history...only pitcher to have just 1 loss in at least 10 road decisions was Jason Schmidt in 2004(9-1, .900)...logged most wins by Giants pitcher since Schmidt went 18-7 in 2004 and posted 3rdlowestERA in SF history (since 1992) behind Bill Swift (2.08 - 1992) and Schmidt (2.34 - 2004)...was one of 5 pitchers in SF Giants history to win at least 18 of his 1st 23 decisions, joining GaylordPerry (20-3 in 1966), Juan Marichal (19-4 in 1968, 18-5 in 1963 and 18-5 in 1966), John Burkett and Shawn Estes (18-5in 1993) (courtesy of Bill Arnold/SportsFeatures Group)...proved to be SF'sstopper, going 13-3 with 2.79 ERA(52er, 168.0ip) in 25 games followingGiants losses, with club winning 17of 25 contests...Cleveland's Cliff Lee(14 wins) was only other pitcher in2008 to have as many as 13 wins inseason following his club's losses...posted lowest avg. against with RISPin NL (2nd-lowest in Majors) with.167 clip (32-for-192)...registered 68strikeouts in 192 at-bats with RISPin '08...left with lead in 5 contestsin which he was eligible for win, butbullpen squandered those leads and hewound up with no decision...accordingto Elias Sports Bureau became just4th pitcher ever to finish 13 gamesabove .500 for team that was at least 13games below .500 mark: Steve Carlton(27-10 for 1972 Phillies, 59-97), EddieRommell (27-13 with 1922 Athletics,65-89) and Dazzy Vance (22-0 for1925 Brooklyn Dodgers, 68-85)...struck out 10 or more batters on 9 differentoccasions, tying Jason Schmidt's2004 record of double-digit K's insingle season...fanned career-high 13batters twice: July 26 vs. Arizona andSept. 28 vs. Los Angeles...went 13-1with 2.87 ERA (45er, 141.0ip) whenGiants scored at least 3 runs of supportfor him (21 starts)...ranked among top7 pitchers with highest differencesover their teams' winning percentagein Major League history with +.339difference (min. 15 wins) (courtesy ofElias Sports Bureau)...posted 11-2 markwith 2.57 ERA in 20 appearances (19starts) during 1st half, while leadingNational League with 135 strikeouts...135 strikeouts were 3rd-highesttotal prior to ASB in SF annals, trailingonly Schmidt (139, 2003) andMarichal (137, 1967)...became 24th SFpitcher to register 11 wins prior to Break...tied Schmidt (2004) for 5th-best winning pct. (.846) in1st Half...owned career high 6-game winning streak over 11 starts May 10-July 3...did not allowearned run in 7 of his starts, including 7.0-inning effort June 28 at Oakland in which he outdueledA's All-Star Justin Duchscherer in 1-0 SF triumph...was selected to 1st career All-Star Game byvote of players, managers and coaches, however, did not appear in Mid-Summer Classic at YankeeStadium after suffering from flu-like symptoms...was charged with just his 3rd loss of seasonJuly 20 vs. Milwaukee in his 1st start in 2nd half after allowing 5 runs on 6 hits over 6.0 framesof Giants' 7-4 defeat...however, following that start reeled off career-high tying 6-game winningstreak over his next 10 assignments from July 26-Sept. 13...posted 1.75 ERA (14er, 72.0ip) duringstretch...last SF pitcher to have pair of 6-contest winning streaks in same season was Shawn Estesin 1997...left Aug. 8 start at Houston after getting hit by line drive off Brad Ausmus' bat with 1 outin 5th inning...suffered bruised right knee, but made his next scheduled start...recorded his 1stcareer complete game and 1st shutout Sept. 13 at San Diego, blanking Padres on 4 hits (3 walks)while striking out 12 in SF's 7-0 triumph...threw career-high 138 pitches in effort...with Sept.13 start, surpassed 200-inning barrier for 1st time in his career...joined Matt Cain (217.2) as 1stLincecumSwing and a MissWith 265 strikeouts last season, Tim Lincecum establisheda San Francisco record while placing 9th on theGiants' single-season list in franchise history...prior to gameon Sept. 18 at Arizona, manager Bruce Bochy announced that Giants' pitching rotation would bechanged to assign Lincecum an extra start, pitting him against Los Angeles-NL on regular season'sfinal day...in that Sept. 28 contest, Lincecum earned his 18th win of season after allowing just 1run on 4 hits over 7.0 innings with career-high tying 13 strikeouts in SF's 3-1 victory to conclude2008 season...registered 9 strikeouts over his 1st 3.0 innings becoming 1st pitcher to record 1st 9outs of game via strikeout since Sid Fernandez accomplished feat July 30, 1986...following game,donated jersey to Baseball Hall of Fame. Rookie emerged as one of stalwarts of Giants staff, going 7-5 with 4.00 ERA, 150strikeouts and .226 avg. against (122-for-539) over 24 starts...despite missing 6 weeks of campaignin either minors or not pitching final 2 weeks of season, still ranked among staff leaders for:wins (T3rd), starts (4th), innings (4th),strikeouts (2nd) and quality starts (3rd- 16)...worked at least 6.0 innings in18 of 24 starts (75.0%), while allowing3 earned runs-or-less 19 times(79.2%)...ranked among NL rookieleaders in strikeouts (1st), wins (T4th),ERA (4th), avg. against (2nd), innings(3rd) and starts (3rd)...150 strikeoutswere 4th-highest single-season total byrookie in SF history (7th in franchiseannals)...was simply one of best pitchersin NL after June 25, when he went5-4 with 2.96 ERA (31er, 94.1ip), .223avg. against (77-for-345), 96 strikeouts and 40 walks over his final 15 starts...rankedamong NL's elite during stretch, placing 4th inERA, 3rd in opp. avg. and 9th in strikeouts...contract was originally purchased from triple-AFresno May 6, taking rotation spot of disabledRuss Ortiz...made Major League debut May6 vs. Philadelphia, taking no decision in SF's8-5 setback...was ticketed with 5 runs over 4.1innings, including 2 HRs (Shane Victorino andRyan Howard)...struck out side in 1st inning tobecome 1st Giants pitcher to accomplish feat asstarter in their debut since Mike Remlinger June15, 1991...earned 1st Major League victoryMay 11 in Colorado, defeating Rockies 8-3...12strikeouts July 1 vs. Arizona marked 4th-highest single-game total by rookie in SF history...loggedcareer-high 4-game winning streak July 1-26...was placed on Bereavement List Aug. 17-20 followingdeath of maternal grandfather...was 4-for-43 (.093) with 2B, 2 walks and 6 sacrifices, collecting2B off Toronto's Dustin McGowan June 13 for 1st career hit...posted 4-0 mark with 0.29 ERA (1er,31.0ip) in 5 games for triple-A Fresno...earned Harry S. Jordan Award at Giants big league SpringTraining, as voted on by teammates and coaching staff. Kicked off professional career in impressive fashion, combining to go 2- 0 with 1.71 ERA (6er, 31.2ip) in 8 starts between short-season Salem-Keizer and single-A San Jose...struck out 58 batters, against 12 walks...made 2 starts for Salem-Keizer, tossing 4.0-shutout innings...was elevated to San Jose Aug. 5 and went 2-0 with 1.95 mark (6er, 27.2ip) in 6 starts...won lone California League post season start, allowing 1 run over 7.0 innings...did not pitch in Instructional League after making equivalent of 35 starts between collegiate and professional seasons. June 5, 2018 Texas Rangers released RHP Tim Lincecum. May 7, 2018 Texas Rangers sent RHP Tim Lincecum on a rehab assignment to Round Rock Express. April 15, 2018 Texas Rangers transferred RHP Tim Lincecum from the 10-day disabled list to the 60-day disabled list. Blister on right middle finger. March 29, 2018 Texas Rangers placed RHP Tim Lincecum on the 10-day disabled list retroactive to March 26, 2018. Blister on right middle finger. 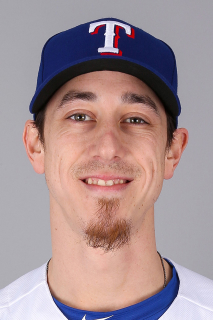 March 7, 2018 Texas Rangers signed free agent RHP Tim Lincecum. November 3, 2016 RHP Tim Lincecum elected free agency. October 3, 2016 Los Angeles Angels recalled RHP Tim Lincecum from Salt Lake Bees. August 9, 2016 Los Angeles Angels optioned RHP Tim Lincecum to Salt Lake Bees. August 6, 2016 Los Angeles Angels designated Tim Lincecum for assignment. June 18, 2016 Los Angeles Angels recalled RHP Tim Lincecum from Salt Lake Bees. May 22, 2016 Los Angeles Angels optioned RHP Tim Lincecum to Salt Lake Bees. May 21, 2016 Tim Lincecum roster status changed by Los Angeles Angels. May 21, 2016 Los Angeles Angels activated RHP Tim Lincecum. May 20, 2016 Los Angeles Angels signed free agent RHP Tim Lincecum. November 2, 2015 RHP Tim Lincecum elected free agency.